Farming would come to a standstill without the helpful assistance of both small and large machines. Whether you're harvesting crops or organizing the barn, these machines take hours of effort out of your day. Support your machine's mechanical needs with agricultural chains and sprockets from USA Roller Chain. We dedicate our reliable stock to your efficiency in the field. 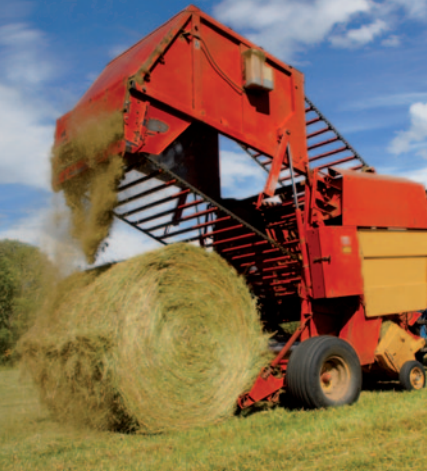 Explore the various agricultural chain in our inventory, including A-, C-, MR- and ANSI-types. Every product meets the tough standards you demand from your tools, such as fighting off debris accumulation and acclimating to nearly every temperature change. Agricultural roller chain goes through extensive testing and quality checks before it arrives at your farm. Try our agricultural flat link chain for smooth operations every day. When you need trusted agricultural conveyor chain parts in a hurry, USA Roller Chain & Sprockets is ready to serve. USA Roller Chain and Sprockets has a full line of roller chain for agricultural equipment at a fair price! 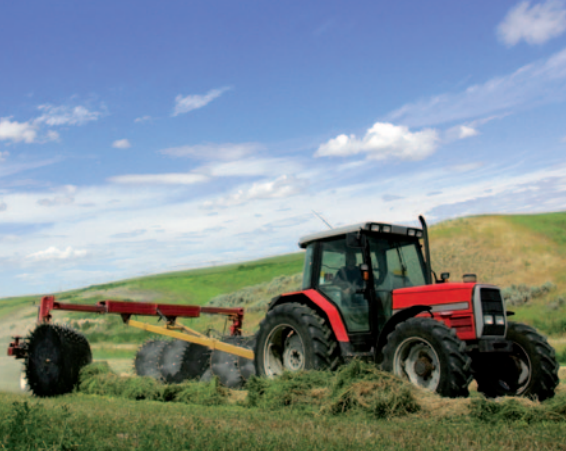 All of our agricultural roller chains feature solid rollers and heat treated components for the best durability and performance. This series of agricultural roller chains feature an extended figure eight shaped side plate and is found in a wide range of applications. This is the second most common used agricultural roller chain. Please note we stock a complete line of attachments for A-Type chains. This series is typically used as a gathering chain or conveyor chain. It features a straight sidebar for increased strength and better conveying ability. This is the most common type of agricultural roller chain. Please note we stock a complete line of attachments for CA-Type chains. This series of agricultural roller chain shares the same characteristic as the A-Type chains, but it is far less common. Please note we can also supply a complete line of attachments for MR-Type chains. 1.150" 0.450" 0.625" 0.175" 0.514" 0.569" 0.500" 0.060"
1.375" 0.562" 0.750" 0.275" 0.663" 0.750" 0.750" 0.098"
1.500" 0.600" 0.875" 0.225" 0.724" 0.819" 0.640" 0.098"
1.630" 0.700" 0.875" 0.225" 0.724" 0.819" 0.650" 0.098"
1.630" 0.600" 0.875" 0.225" 0.724" 0.819" 0.650" 0.098"
1.654" 0.750" 1.000" 0.225" 0.789" 0.817" 0.660" 0.098"
We typically supply #50, #60, #80 and #100 standard duty roller chains for agricultural applications. We also supply #60H, #80H, and #100H heavy duty roller chains for the toughest applications that need the longest life out of their chain. 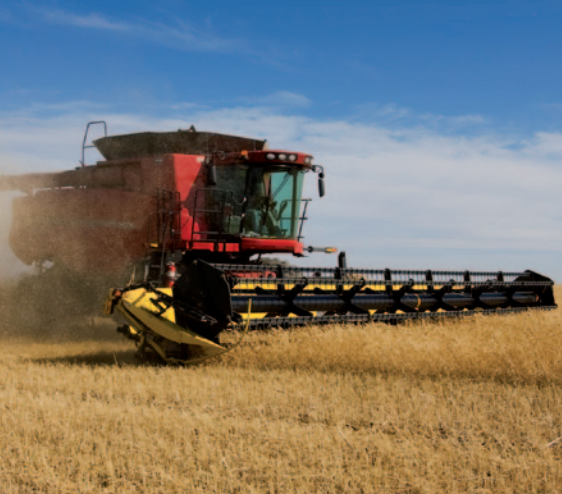 Due to the high speed nature of agriculture equipment chains, we recommend using our General Duty Plus quality roller chains that is specifically made for high speed applications. The pins of this chain are case hardened and have the highest outside rockwell hardness across all three quality levels, along with heat-treated bushings, rollers, and side-plates. Having a harder pin will eliminate stretch for most pieces of equipment. Along with the heat treated pins, rollers, and side-plates, all general duty plus roller chains are pre-stretched at the factory. Without excessive chain stretch, you have substantially less wear on the components and the chain will last longer. 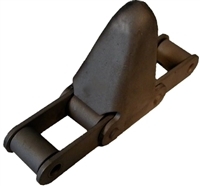 Attachments are commonly used for agricultural roller chains, so we keep a full line of attachment links in stock for individual purchase. We can also supply a complete assembly with the chain and attachments already attached. To get pricing and availability on agricultural roller chain and sprockets, please contact us at sales@usarollerchain.com or call (407) 347-3519. 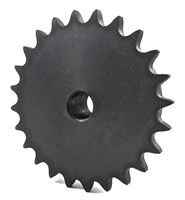 We have a full line of agricultural roller chain sprockets. We can supply these sprockets as cast or steel material based upon the application and customers needs. 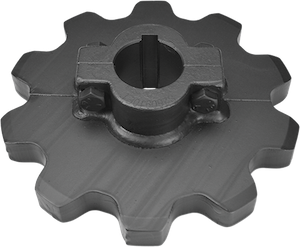 All of our ANSI sprockets feature a black-oxide coating for corrosion resistance, and sprockets that have 30 teeth or less come standard with hardened teeth. And we have steel or cast options for 55-series and 62-series sprockets. 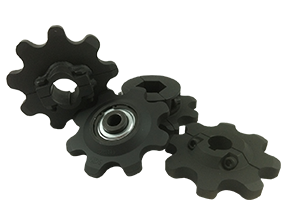 For CA550, CA550HD, CA555, A557, A550, A555, and A557 chains use a 55-series sprockets. Checkout the below chart for the standard 55-series sprocket sizes. 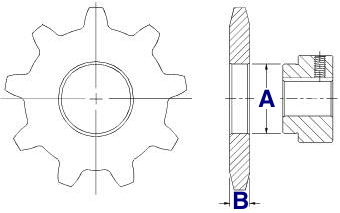 For CA620, CA650, and A620 chains use a 62-series sprockets. Checkout the below chart for the standard 62-series sprocket sizes. 62C5 5 C 2.81" 1.38" 1.25" 0.75"